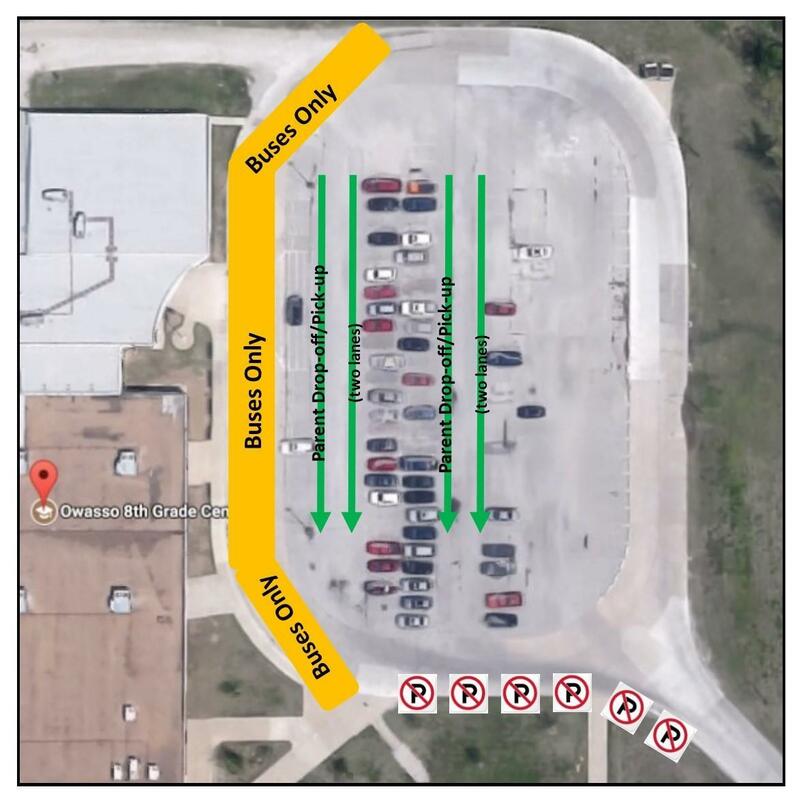 When dropping students off at the 8th Grade Center, please pull into the drop off lane and pull as far forward as possible before stopping to let your student out. Note that each drop off lane is designed for two lanes of vehicles. When waiting for after school pick up, please pull all the way forward before parking to wait. This will allow more vehicles to pull into the pick up lanes. School buses enter the parking lot the same way as parents. By pulling forward, buses will be able to access the bus lane and not hold up traffic.